Facebook has recently rolled out Video Auto-Play function on your smart phone when you update the app. It automatically enabled this function to the ON mode. This will play the video whether you are on Wifi or using mobile data network. This will ready waste your data usage on your mobile plan. Actually you can disable this function to Auto-Play the videos. Go to the setting and scroll to Video Auto-Play. 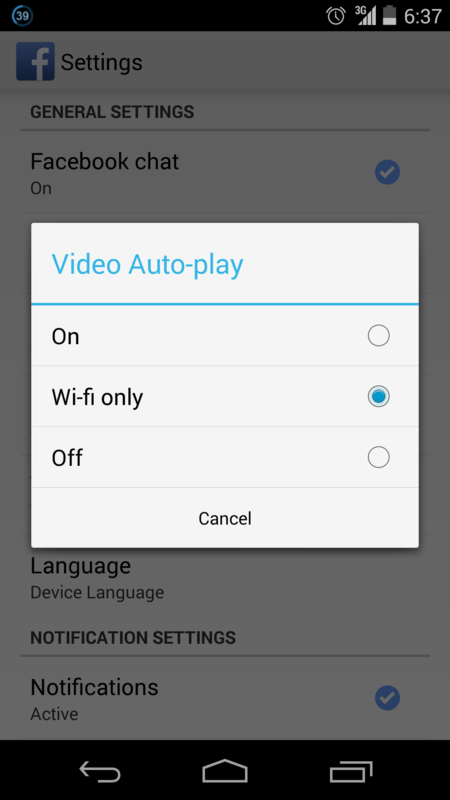 Select to off it or play the video when there is Wifi available. This will waste your mobile data plan if it is switch to the ON mode. Some Facebook users were helpless on what to do when the videos Auto-Play. Now you know the solution, share it with all your friends.